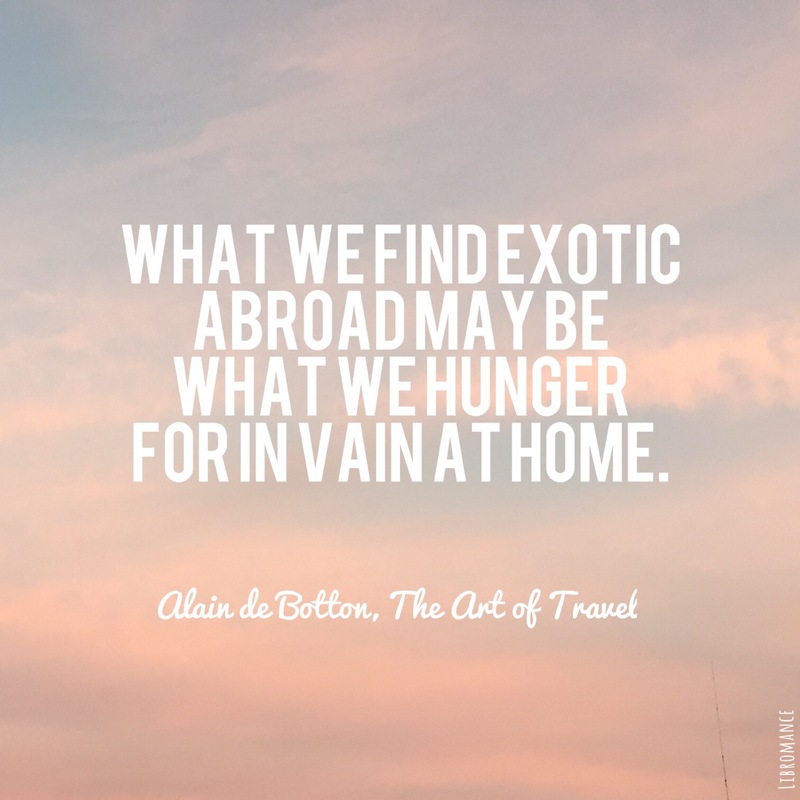 Alain de Botton does it again — for me at least, with his book The Art of Travel (Shop your local indie bookstore). As a Pisces through and through, the mind is always in another place, city, country or continent far from where the feet are planted. There is a restlessness everyday, and I’m one to daydream all day long until I’ve had my fill of whatever place I want to be in. But the fill is never enough, with the advent of the internet and all the travel subscriptions and newsletters and travel promos. The more begrudging each day becomes, the more the incessant need to wander. This book was gifted to me by a friend who knew my wandering ways. After reading the book, I realized that I was actually more grounded than I thought I would. There is an art to traveling, de Botton explains, something that is intricately tied to our happiness more than we care to think of. To illustrate his points, he observes and parallels the conditions of the soul with writers, poets and thinkers as he himself engages in its art.